For a children’s book, this one offers an extremely chilly dedication line: “Possessive parents rarely live long enough to see the fruits of their selfishness.” Yikes. Yet Alan Garner’s use of that quote in the preface does seem a little unfair, given that – on the evidence offered in The Owl Service – parents are not free agents who can easily put their conditioning to one side, before they start messing up the lives of their children. The chain of parental responsibility goes back for centuries in this story, and myths play out their patterns over and over again. Ever since it was published in 1967. 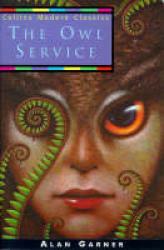 The Owl Service has been praised as a children’s classic, yet it has always attracted and divided its readers. Maybe less so than Red Shift, Garmer’s next book, but all the same…some people do find The Owl Service too hard to read. The story is told in condensed bursts of dialogue with ‘blink and you miss it’ flashes of exposition and as in any good thriller, puzzling events sometimes take a while to be explained. It is easy to become confused. Garner demands your concentration, and regularly requires you to fill in the emotional detail around the sparse information he has provided on the page. You have to trust him, and he does repay the close attention. Which leads, however, to the real bone of contention – given the scale of his ambition, did Garner really manage to resolve the story in a satisfying way, either intellectually or emotionally? Because the answer requires some acquaintance with the plot, bear with me while I give a superficial outline of what The Owl Service is about. The book is set in modern times, in a remote village in Wales, where two upper-middle class English kids called Alison and Roger are on holiday with Alison’s nouveau riche stepfather, Clive. Two Welsh servants work at the cottage where the children are staying – an eccentric handyman called Huw, and an emotionally volatile cook called Nancy, who has a teenage son, Gwyn. It falls to Gwyn, Roger and Alison to live out the doomed love triangle that recurs down the ages, in this community. The love triangle in question is spelled out in a myth contained in a collection of pre-Christian Celtic mythology known as the Mabinogion. Specifically, Garner drew on a story from the fourth section of the Mabinogion concerning a woman called Blodeuwedd – a being who had been created out of flowers as a wife for the immortal Lord Lleu by his sympathetic uncles, Gwydion and Math. (Lleu couldn’t get a human wife because of a curse laid on him by his mother for shaming her, but that’s another story.) Once Blodeuwedd gained consciousness however, she rebelled against the patriarchal frame into which she had been placed and fell in love with a local mortal called Gronw, who kills Lleu. 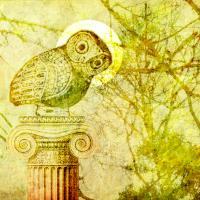 As punishment, Blodeuwedd is turned into an owl. Being an immortal, Lleu returns and asks that – since he had been ‘killed’ by a spear – the atonement for his pain and humiliation requires that he be allowed to throw a spear back at Gronw. Since Gronw is a mere mortal, this is obviously a dangerous proposition so Gronw asks that he be allowed to stand behind a large rock. Lleu hurls his spear right through the rock and kills Gronw. It is this tale of deception, sexual jealousy and revenge that keeps recurring among the valley inhabitants – try as they might to encode and contain its power in various objects such as the dinner service that gives the book its title. In a previous incarnation, the love triangle may well have involved Huw, Nancy and the dashing Lord Bertram, sadly killed in a motorcycling accident that may (or may not) have been murder. The focus of the narrative in The Owl Service though is on the new triangle formed by Alison, her stepbrother Roger and Gwyn. Blodeuwedd is returning – and when she appears in Alison’s body, there is some doubt about what shape will she take – benign or murderous? Last month Alan Garner celebrated his 76th birthday, and also the 50th anniversary of the publication of his first book The Weirdstone of Brisingamen. A video interview that Garner did with the Guardian newspaper to mark the Weirdstone anniversary is available here. Apparently, he still lives in the Alderly Edge region of Cheshire where his family has lived for some 300 years, and which was the backdrop for his first two books The Weirdstone, and The Moon of Gomrath. A sickly child, Garner once related in a 1995 interview how he had spent much of the first eight years of his life in a sick bed, and was twice declared to be dead. For most of his life, he has also coped with bipolar disorder. More to the point, Garner also had the dislocating experience of being the first child in generations of his family to receive a tertiary education. (Garner studied classics at Oxford, and once heard the just-retired professor J.R.R.Tolkien do one of his celebrated public readings of Beowulf.) Like many of those first in a family to be educated, Garner benefited from the tools of rationality and distance from his upbringing that university gave to him, yet he also came to feel strongly that his education had divorced him from his roots. As a writer, much of his work has consisted of various forms of re-engagement with the folk tales and myths of his forebears – first in Cheshire, and then elsewhere in Britain. 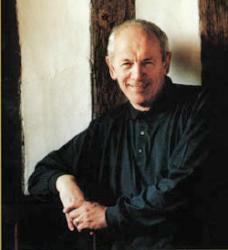 Garner is well known for the intense research that has gone into his books. To do justice to the rhythms of the dialogue in The Owl Service he learned Welsh, and studied the body of research that now surrounds the Mabinogion – which is a collection of prose poems based on ancient Welsh folklore first translated into English by Lady Charlotte Guest in the mid 19th century. The poet Robert Graves later drew on Guest’s translation in his highly influential book The White Goddess, published in 1948 – and there is some evidence that Garner was in turn, influenced by Graves’ handling of the Blodeuwedd myth. Certainly, there are triangles everywhere you look in The Owl Service. As mentioned, Alison, Roger and Gwyn are being cast as the latest version of the Lleu/Blodeuwedd/Gronw tale, which – skipping back a generation – was unhappily embodied by Nancy/Huw/Bertram. On top of all that, Alison has struck some critics as being an incarnation of what Robert Graves called the Triple Goddess, the alleged feminine fount of all poetry. In the very first line of Garner’s book, there is a typically oblique hint that Alison is ‘sick’ in bed because of having her first period. Having reached puberty, the core question posed by the narrative is what sort of woman she will now become – will Alison be a sweet flower child, or a hunter of men? To Graves, the Triple Goddess had three lunar aspects that some critics have also found present in The Owl Service. Namely, the new moon (here, this is Alison) the full moon (Alison’s mother, the domineering Margaret) and the waning moon (the embittered Nancy) The real bone of contention is whether, having wheeled up this immense machinery of mythic allusions, has Garner been able to do it justice ? And was a children’s book really the best place for him to try and pull off such an extremely ambitious literary feat? Nancy receded from him, leaving at the gate. “Mam !” She turned but did not stop. She walked backwards up the road, shouting, and the rain washed the air clean of her words and dissolved her haunted face, broke the dark line of her into webs that left no stain, and Gwyn watched for a while the unmarked place where she had been, then climbed over the gate. These technical skills can take the reader only so far, though. Amid the abundance of literary criticism written about The Owl Service, it is striking how little consensus exists as to which of the children is equivalent to which figure in the myth. Opinion differs as to whether Gwyn is to be taken as Lleu or Gronw. My own opinion is that Gwyn is quite clearly Gronw – Blodeuwedd’s human lover – rather than this figure being her self absorbed step-brother, Roger. Alison is clearly attracted to Gwyn, and that to my mind, clinches the argument for him being Gronw. 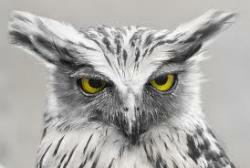 That is precisely where the problems with The Owl Service really begin. Because this is a children’s book, it is not possible to render the re-enactment of the myth – which is a tale of sexual attraction, betrayal and revenge – with anything like the power that the story requires. Because it cannot be a love triangle, it awkwardly devolves into one of class conflict. On an intellectual level, I have no problem with this – the myth after all, is not deterministic. It is a cycle that can take different forms every time it appears, and Garner could well argue that this (somewhat pallid) version is still a valid permutation, and one that will not necessarily determine how things might pan out next time around. Far from spoiling it, Garner worked into his recreation of it a restrained passion that is entirely his own. There is only one character in the book, Gwyn; the others are stereotypes, but Gwyn is quite enough,..Real passion is a very rare thing in modern novels. We skip from sentimentality to perversity, missing the centre, the real thing. Gwyn’s love and desire, his despair, ambition, obstinacy, courage, the awful absoluteness of adolescent emotion; in these are the makings of tragedy, and of the tragic hero. The book would be indeed, fully comparable to Wuthering Heights if only Gwyn’s Alison were a Catherine Earnshaw. Alas, she isn’t. She isn’t much of anything, not enough to stand up to Gwyn, anyway. “What can she do? Hang you in chains in the family dungeon? Lock you in a turret? Your name Rapunzel or something, is it? What can she do, girl? Shoot you? So with the heroine a doormat and the love triangle doused well before the finale, the struggle settles by default, into one of class conflict. Thus it transpires that it is the thinly drawn and priggish figure of Roger – at one point, he refers to Gwyn as an ‘educated peasant’ – who comes up trumps at the end, summons Alison’s better nature and averts catastrophe, all too readily. ‘Is that all it is?’ Roger says, voicing what many readers will also be feeling, ‘As easy as that?’ Gwyn, for all his passionate determination to escape from his upbringing, is shown as being unable to break the shackles of tradition and class resentment, not even to save Alison. Reportedly, Garner’s biographer Neil Philip has claimed that for Gwyn to have emerged as the hero would have unduly sentimentalised the story, and denied what had gone before. I completely disagree. It would have been utterly in keeping with Gwyn’s renunciation of so much of what the valley represents, and also in keeping with how clearly he sees that it is Alison’s deference to her mother and to the related attitudes of her social class that is burying her alive. Even the most timid of romantics, I think, couldn’t help but feel let down by the way that Garner chose to resolve the myth. In The Owl Service, Garner chose to use Gwyn as the vehicle for much of that personal anger and distress at the injustices of the class system. We see Gwyn’s fierce drive to escape his upbringing, his awareness of how hard and unfair this struggle will be, and what he might lose – temporarily at least – in the attempt. Even so, Garner could not quite bring himself to carry that onwards into the conclusion. In my opinion, this damages an otherwise admirable novel. It also goes to show how the emotional lives of the English, as Garner intimates, will always be a mystery to the rest of us. Fort this essay, Gordon Campbell has drawn upon on the essays and reviews by Donna White, David Rees, Frank Eyre and others, contained in volumes 20 and 130 of the Children’s Literature Review.